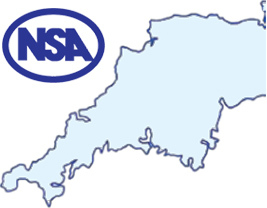 Please fill in the details on this page to apply for a trade stand at NSA Sheep South West 2019. Please note if you are a breed society please select the correct option above. Larger or smaller outdoor and indoor spaces are available. Please contact Sue Martyn for more information. Please state here if you wish to book any pre-event supper tickets. Electricity is available for Outdoor and Indoor Stands. Please note no generators are allowed on site. Do you wish to book an Electrical Supply? Please state if you would like to hire any trestle tables or folding chairs. Please note no tickets will be sent unless payment has been made in full. Please fill in the details on this page to apply for a breed society stand at NSA Sheep South West 2019. Please note if you are a trade exhibitor please select the correct option above. Larger or smaller spaces are available.